The US is considering retaliatory strikes against whoever is responsible for the recent missile attack on the USS Mason off the coast of Yemen, the Pentagon said, while declining to point fingers or name names. 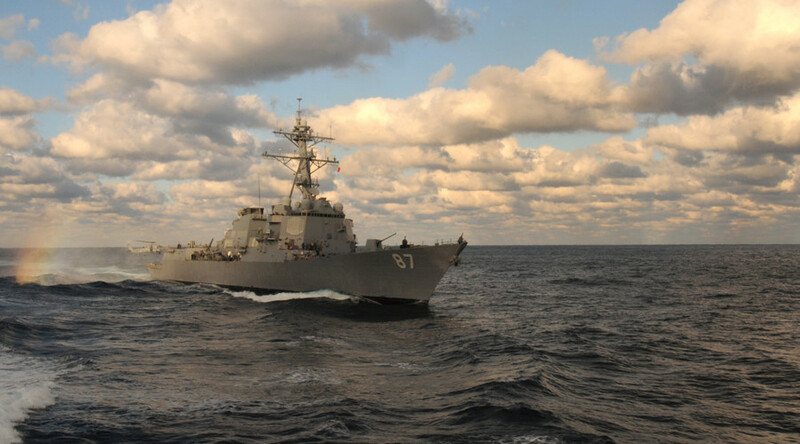 The Mason, an Arleigh Burke-class destroyer deployed in the Red Sea, was reportedly targeted by missiles off the southern coast of Yemen on Sunday. The destroyer reportedly fired defense missiles and employed countermeasures. There was no damage to the ship or injuries to the crew. “We will get to the bottom of this and we will make sure that anybody who interferes with freedom of navigation or anybody who puts US Navy ships at risk does so at their own peril,” said Davis. Reports of the attack on the ship came a day after the White House announced an “immediate review” of US support for the coalition led by Saudi Arabia, which has been bombing Yemen since March 2015. The Saudis are backing the Sunni faction of the ousted President Abd Rabbuh Mansur Hadi, against the Houthi-led Shia followers of his rival Abdullah Saleh. Riyadh has accused the Houthis of being proxies for Iran, which Tehran has denied. On Saturday, 150 people were killed and more than 500 injured in a Saudi airstrike on a funeral in the Yemeni capital of Sanaa that targeted high-ranking Houthi officials. Fragments of US-made bombs were reportedly found amid the wreckage. Davis declined to confirm whether the Pentagon was developing any targets for retaliatory strikes, and stopped short of blaming the Houthi rebels for the attack. The Houthis denied targeting any ship off Yemeni waters, a spokesman for the group told Reuters on Monday. The Mason fired two SM-2 counter-missiles and one Enhanced Sea Sparrow missile in response to the attack, the US Naval Institute reported on Tuesday, citing two anonymous Pentagon officials. 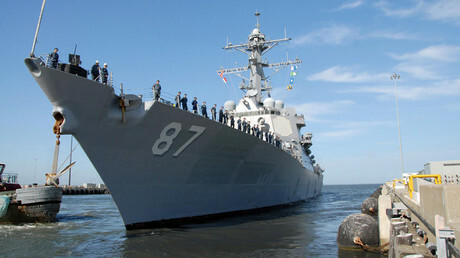 The destroyer also used the Nulka anti-ship missile decoy. Davis declined to confirm the details of the engagement. The incoming missiles may have been intended for the USS Ponce, the Navy’s forward staging vessel deployed alongside the Mason off the coast of Yemen. The Ponce carries US Army attack helicopters and carries an experimental laser weapon (LAWS).